We’re back with another action-packed CrewFire product update, including some major new features in CrewFire. For anyone not familiar, CrewFire is a Social Media Brand Ambassador Platform that will help you drive more SHARES and ENGAGEMENT on Facebook, Instagram, and Twitter, WITHOUT spending a dime on ads. CrewFire works by rewarding your audience, fans, and customers (“ambassadors”) for sharing your brand content and links on Facebook, Instagram, and Twitter. With CrewFire, you’ll get more exposure and traffic from social media, without spending a dime on ads. Having some sort of community message board is critical to building a community around your Ambassador program, communitating with your team, and keeping everyone on the same page. In the past, we’ve seend our customers using Facebook Groups, Chat/WhatsApp Groups, or Email Lists to serve this purpose. Today, we’re excited to offer Communiy Message Boards directly inside CrewFire itself, so you can keep everything under the same roof. 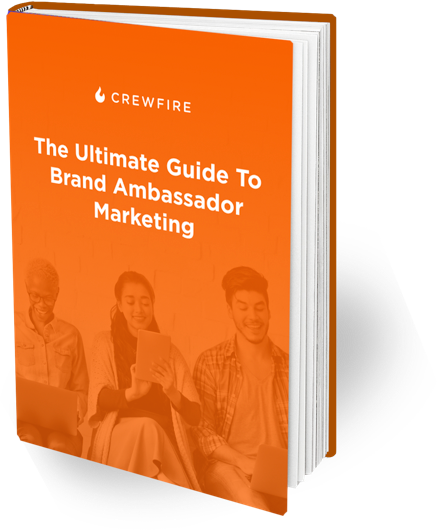 We’re making CrewFire more and more inclusive and comprehensive, so you can manage all facets of your brand ambassador program in CrewFire, without relying on any other tools. When your ambassadors sign up, they connect their social media profiles, email address, and phone numbers. We give you all this data (and make it exportable so you can export/import into other systems or for your own records). Now, you can easily send EMAIL and SMS broadcasts to everyone on your team (or select members). With this step, CrewFire can now start handling some of the duties of a newsletter or SMS marketing platform. Boo yah. The first step in dominating social media with CrewFire is building your team of Brand Ambassadors. Before, you had to do this by circulating a sign-up from link that your users could fill out. Today, we’ve implemented a handy email invite system, so you can copy and paste a list of email addresses into the system, and we’ll take care of the rest. The CrewFire Groups feature lets you segment your team into smaller sub-groups, so you can send more targetted campaigns. Before, you had to create groups manually by checking peoples names on a list. Now, with Group Sign-Up Forms, every Group you make will come with it’s own unique sign-up link. When users sign up through that link, they’ll join your main CrewFire list, AND be added to that Group! That’s all for now! As always, we’re excited to keep you updated and to make continued progress. Stay tuned for even more BIG updates coming soon.